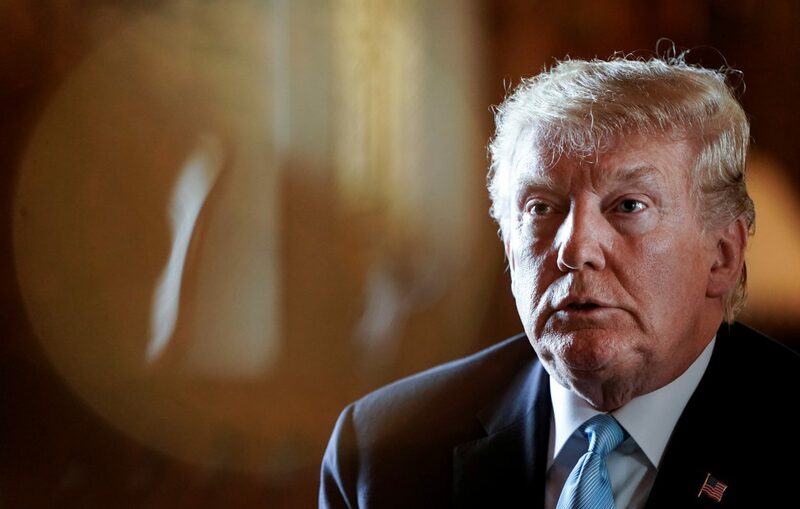 WASHINGTON/NEW YORK (Reuters) – U.S. President Donald Trump on Monday injected himself into one of the most consequential cases of the current Supreme Court term, saying the nation’s 2020 census would be “meaningless” without adding a citizenship question to the questionnaire. The comment on Twitter came ahead of an expected ruling from the Supreme Court on whether Commerce Secretary Wilbur Ross’ decision to add the citizenship question violated federal law. The citizenship question is among a series of White House policies signaling tighter control over immigration. The U.S. Constitution requires a census every 10 years, with results used to draw political boundaries, allocate seats in Congress and at the state and local level, and distribute roughly $800 billion of federal funds. 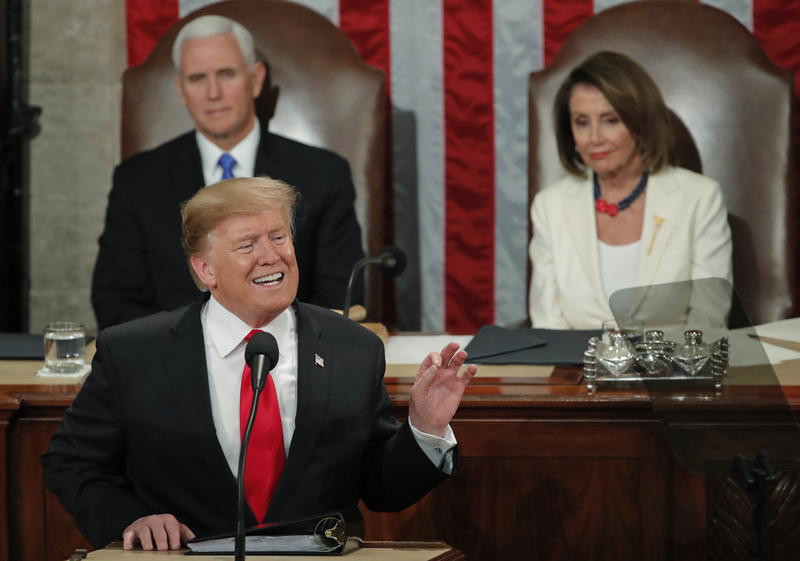 Critics have accused Trump of encouraging an undercount by dissuading immigrants from participating in the census, more likely hurting Democrats than Republicans. 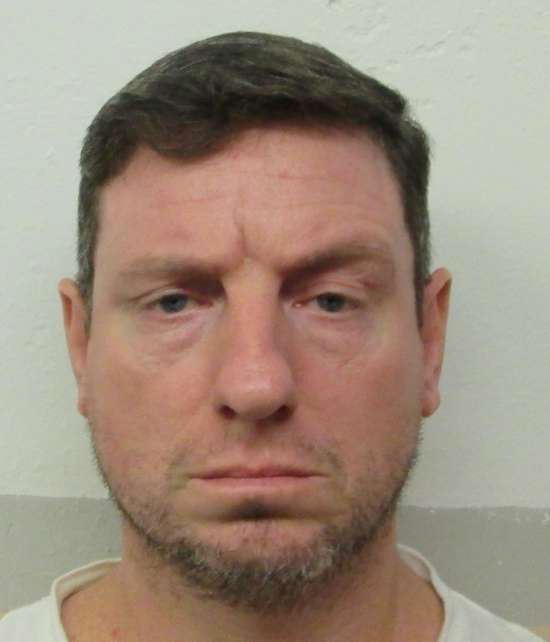 Oral arguments are scheduled for April 23, with a decision expected by the end of June. Furman said Commerce Secretary Wilbur Ross broke a “veritable smorgasbord” of federal rules by including the question, and that enforcement of the Voting Rights Act was a “pretextual” rationale for adding it. 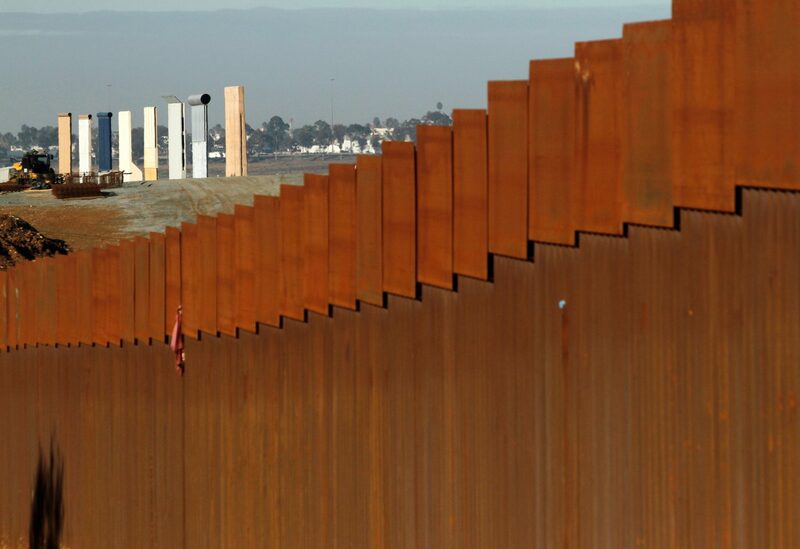 The judge said adding the question would cause many states to lose federal funding, while Arizona, California, Florida, Illinois, New York and Texas would lose Congressional seats. Furman, an appointee of former President Barack Obama, stopped short of a finding that Ross intended to discriminate against immigrants. The decision came in a lawsuit brought by 18 U.S. states, 15 cities and a variety of civil rights groups. 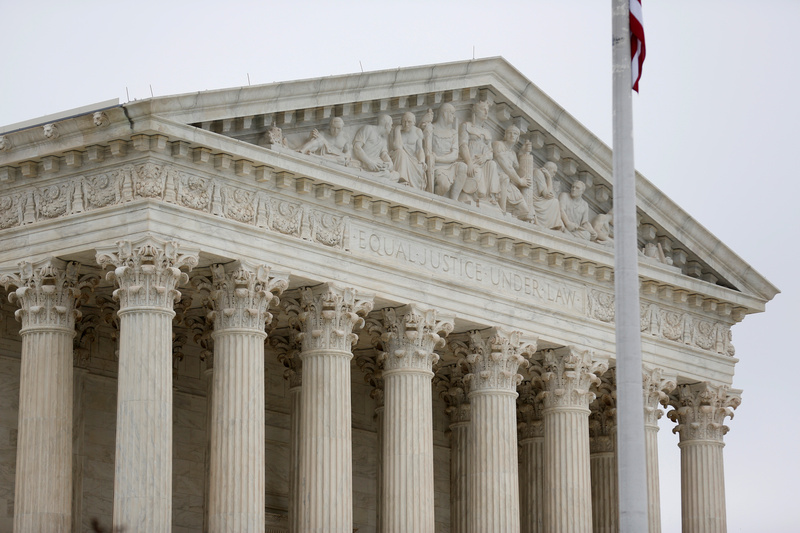 In urging the Supreme Court to overturn Furman’s ruling, Solicitor General Noel Francisco said Ross had discretion to add the citizenship question, and that there was a “long pedigree” in the census for asking about citizenship or country of birth. He also said other democracies including Australia, Canada, France, Germany, Indonesia, Ireland, Mexico, Spain, and the United Kingdom ask about citizenship on their censuses. 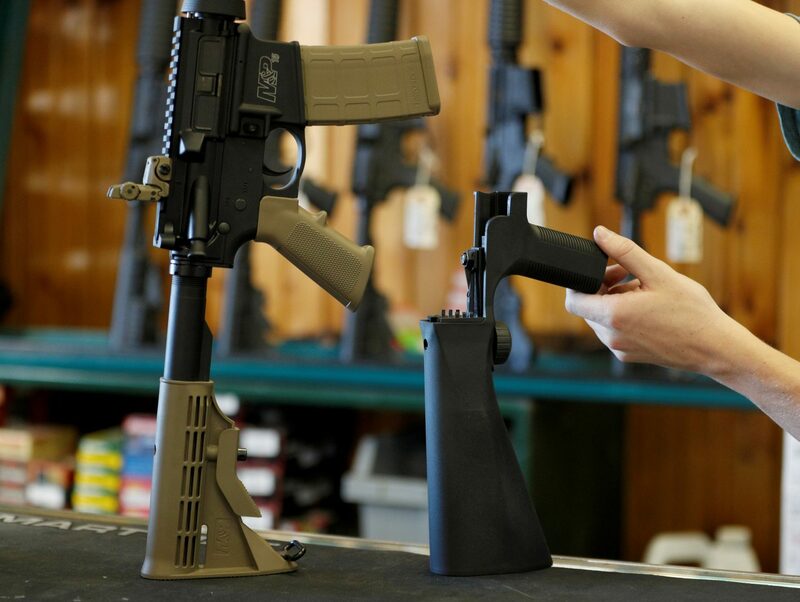 WASHINGTON (Reuters) – The U.S. Supreme Court on Thursday rejected a request by gun rights activists to put on hold the Trump administration’s ban on “bump stock” attachments that allow semi-automatic weapons to be fired rapidly, a rare recent instance of gun control at the federal level. The court in a brief order refused to grant a temporary stay sought by plaintiffs including the group Gun Owners of America in a lawsuit filed in Michigan challenging the ban while litigation continues. The policy took effect on Tuesday on the same day that Chief Justice John Roberts rejected a similar bid to delay implementation in a separate legal challenge brought in Washington by individual gun owners and gun rights groups including the Firearms Policy Foundation and Florida Carry Inc.
An appeals court previously exempted specific people and groups involved in the Washington case from the ban while that litigation proceeds. President Donald Trump pledged to ban the devices soon after a gunman used them in an October 2017 shooting spree that killed 58 people at a country music festival in Las Vegas. The Justice Department on Dec. 18 announced plans to implement the policy. In the Washington case, a federal judge also upheld the ban, prompting gun rights advocates to appeal to the U.S. Court of Appeals for the District of Columbia Circuit. That court has heard oral arguments but has not yet ruled. Trump’s fellow Republicans typically oppose gun control measures and are protective of the right to bear arms promised in the U.S. Constitution’s Second Amendment. In 2017, there were 39,773 gun deaths in the United States, according to the most recent U.S. Centers for Disease Control and Prevention figures released in December. WASHINGTON (Reuters) – The conservative-majority U.S. Supreme Court on Wednesday takes up one of the biggest cases of its current term when it weighs whether a cross-shaped war memorial on public land in Maryland is an unconstitutional government endorsement of religion. 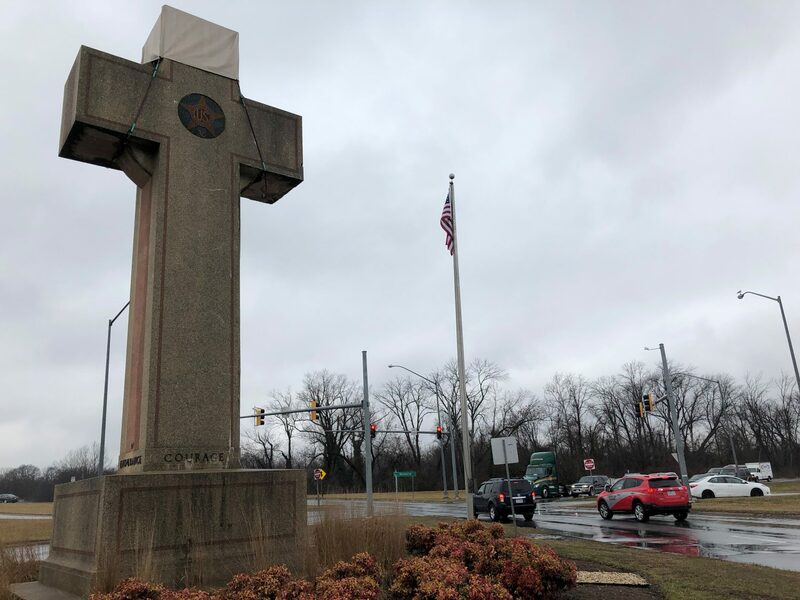 The so-called Peace Cross, a 40-foot-tall (12 meters) concrete memorial to 49 men from Maryland’s Prince George’s County killed in World War One, is situated on public land at a busy road intersection in Bladensburg just outside Washington. Fred Edwords and two other plaintiffs filed a 2014 lawsuit challenging the cross as a violation of the U.S. Constitution’s Establishment Clause, which prohibits the government from establishing an official religion and bars governmental actions favoring one religion over another. Edwords, who is retired, is a long-time member and previous employee of the American Humanist Association, which advocates for the separation of church and state. 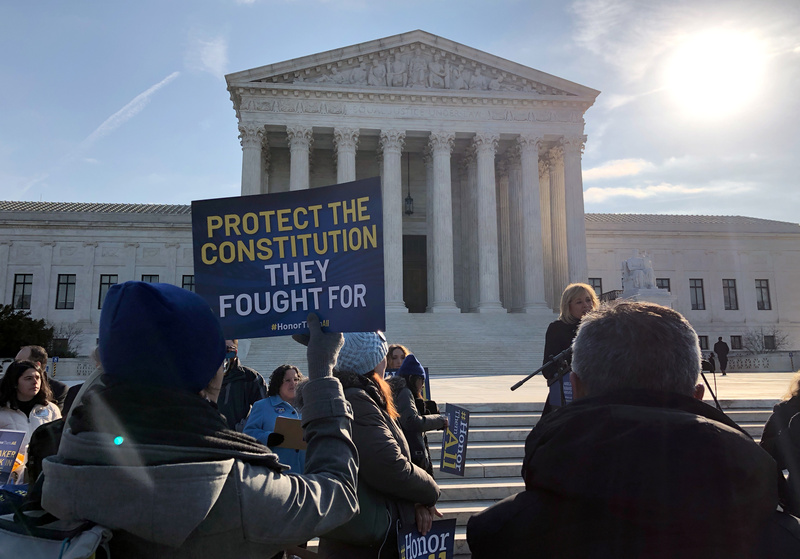 Supporters of the group participated in a small rally in front of the court before the arguments, with some holding signs saying, “Protect the Constitution they fought for,” in reference to military veterans. Supporters of the cross, including members of the American Legion, a private veterans’ group, also gathered outside the building. The cross was funded privately and built in 1925. The property where it stands was in private hands when it was erected, but it is now on land owned by the Maryland-National Capital Park and Planning Commission, a governmental agency. The nine justices on the high court, which has a 5-4 conservative majority, are due to hear a 70-minute oral argument, with a ruling due by the end of June. 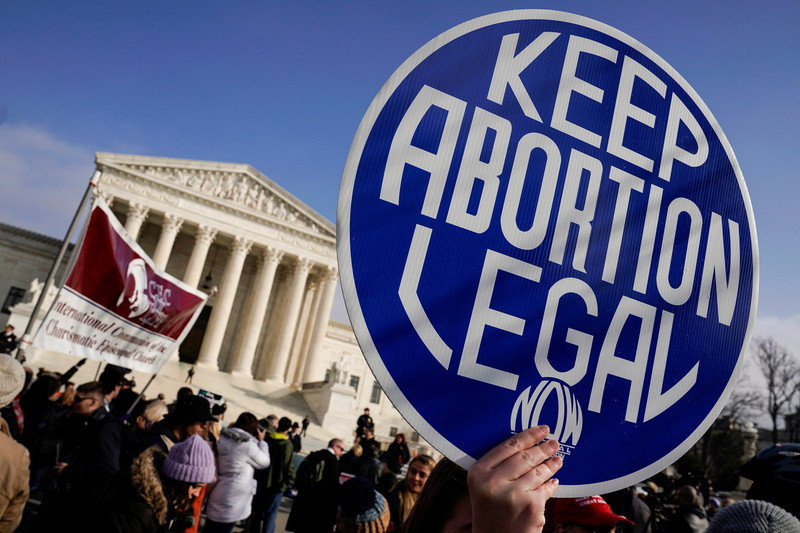 The Establishment Clause’s scope is contested, so comments by the justices suggesting a willingness to allow greater government involvement in religious expression will be closely scrutinized. The cross has the backing of President Donald Trump’s administration and members of the American Legion, who hold memorial events at the site. 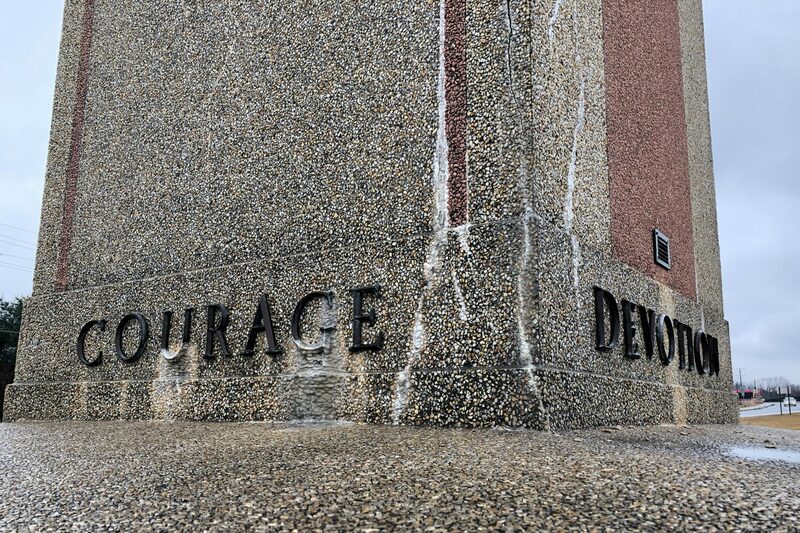 Veterans and their relatives have said the monument has no religious meaning despite being in the shape of a Christian cross, calling the lawsuit misguided and hurtful. Aside from its shape, the cross has no other religious themes or imagery. The Supreme Court will hear appeals by the park commission and the American Legion, which is represented by the conservative religious rights group First Liberty Institute. The Supreme Court has sent mixed messages about parameters for government-approved religious expression, including in two rulings issued on the same day in 2005. In one, it ruled that a monument on the grounds of the Texas state capitol building depicting the biblical Ten Commandments did not violate the Constitution. But in the other, it decided that Ten Commandments displays in Kentucky courthouses and schools were unlawful. 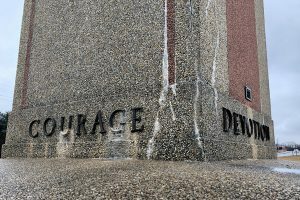 To Edwords, who believes there should be an impermeable wall separating church and state, the location of the so-called Peace Cross – a memorial to Americans killed in World War One situated on public land, with vehicles buzzing by on all sides – seemed to be a clear governmental endorsement of religion. ISLAMABAD (Reuters) – Pakistan’s Supreme Court on Tuesday upheld the acquittal of a Christian woman who spent years on death row after being convicted of blasphemy, dismissing a petition filed by Islamists who have called for her execution. Asia Bibi, a farm worker, was convicted in 2010 of making derogatory remarks about Islam after neighbors working in the fields with her objected to her drinking water from their glass because she was not Muslim. Her conviction was overturned in October, prompting protests from religious hardliners calling for her death and demanding that the government prevent her from leaving the country. Under pressure from days of protests in the capital, Islamabad, and other cities, the government agreed to stop Bibi leaving the country until the Supreme Court heard a review petition. Bibi, who spent eight years on death row, has been in hiding since the Supreme Court freed her in October. She has always denied committing blasphemy. In remarks in court, Khosa was severely critical of the petitioners’ attempt to have the judgment reversed and said Bibi had been convicted on the basis of false evidence, pointing to discrepancies in testimony presented in the original case. “Please point out any error in our judgment and we’re ready to rectify it,” he said. Hours before the Supreme Court announced its decision, Shafeeq Ameeni, acting head of the hardline Tehreek-e Labaik group, which led the protests last year, issued a new warning to the court not to rule in favor of the “blasphemer”. Ameeni was not immediately available for comment after the ruling. Bibi’s case attracted headlines around the world last year, highlighting Pakistan’s strict anti-blasphemy laws which campaigners have urged the government to repeal. Rights group Amnesty International issued a statement calling for Bibi, who is staying at an undisclosed location, to be allowed to “reunite with her family and seek safety in a country of her choice”. 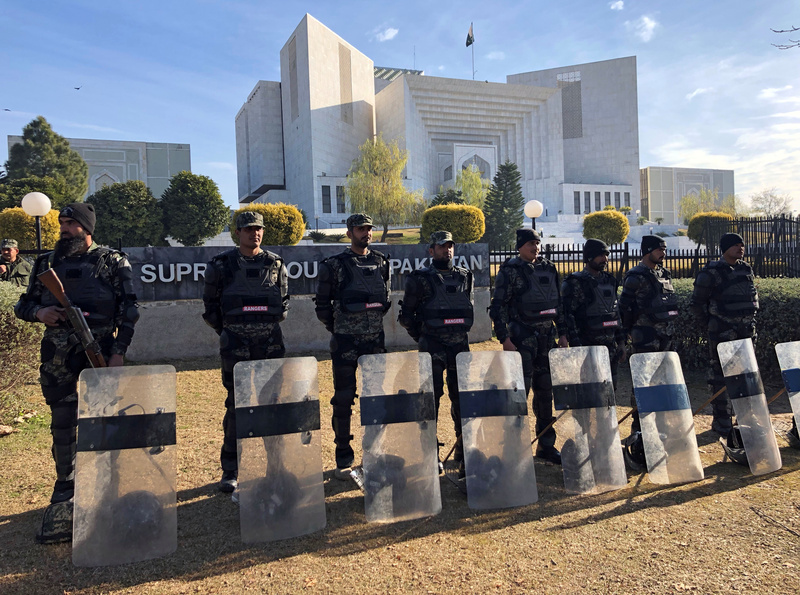 “The authorities must also resist and investigate any attempts to intimidate the Supreme Court,” said Amnesty International’s South Asia campaigner, Rimmel Mohydin. If allowed to do so, Bibi is expected to seek asylum abroad. In November, Canadian Premier Justin Trudeau said his country was in talks with Pakistan about helping her.